Cricket, once revered in Sri Lanka, has been in the headlines for all the wrong reasons of late. As evident from a sequence of events during the last few weeks, both players and officials have contributed in no small measure to the crisis that besets the game today. While an international investigation is now underway to ascertain whether match-fixing and corruption have played a part in the sport’s downfall here, several other issues have plunged Sri Lankan cricket into an even deeper quagmire. Leaked letters exposing the unbecoming behaviour of the limited-over Captain and allegations of interference in selections by the Head Coach coupled with political interference have amplified the rumours. Fans and social media pundits are now clamouring for a change of guard in the national team, with a call for a Captain that commands everyone’s respect and a Coach who appreciates his players. It shouldn’t be difficult for those who know the game to identify those responsible for all this. Sri Lanka’s downward spiral is now a good three-years-old. It’s hardly rocket science: the problems are known, top to bottom. The team’s unending woes on-field are compounded by the Board’s glaring management frailties–the Executive Committee and National Selectors whose ad hoc policies have dragged the game to the bottom. Nowhere in the world have a cricket team seen such chopping and changing of players, Captains, Coaches and Managers as Sri Lanka has done in the last couple of years. All this is the result of short-sightedness of those running the game. It has now deteriorated to the point of no-return, with the confidence of players and Coaches at rock bottom and their jobs under constant scrutiny. This week, Thisara Perera–who has publicly admitted to differences with limited-over Skipper, Lasith Malinga (whose appointment surprised many, given his ego)–urged cricket authorities to appoint a Captain who can command peer respect. He warns that this needs to be urgently addressed with the World Cup just around the corner. Not that a change of guard will swing the fortunes of the team overnight. But it is seen as the first step towards building player confidence. To diffuse tension, Sports Minister Harin Fernando summoned Malinga and Angelo Mathews in Colombo to discuss a way forward. He then travelled to Canberra to meet the players and their under-fire Coach, and to “give them confidence and assurance’”. 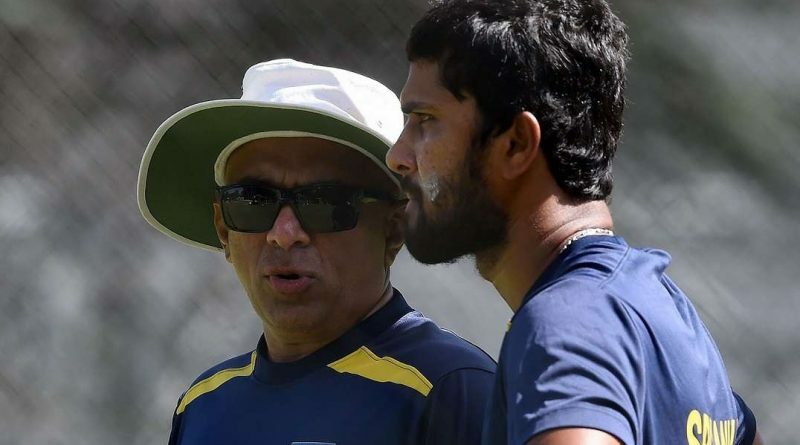 Meanwhile, Selector complaints prompted the Minister to also instruct cricket authorities to curtail the wide powers the Head Coach had on team selection, a slap in the face of Chandika Hathurusingha. He has failed to deliver during the 13 months he has been in charge of the national team–much to everyone’s surprise, as he had joined Sri Lanka Cricket following a successful stint with the Bangladesh Board. Hathurusingha is now in the firing line and could face the axe as the Board struggles to justify the substantial salary offered to a man who returned to Sri Lanka after being abroad for nearly eight years. But sacking the Coach and changing the Captain will not address the real issues facing cricket here. Put simple, the same men in different garb will run the Board during the next two years. All those who are scrambling to gain control at the forthcoming election have already served stints before. Had they performed as expected, the 1996 World Champions would not have become a laughing stock today. The Minister’s responsibility, therefore, is to find a permanent fix to the bigger issues: the changing of the constitution to overhaul the election process, amending the old Sports Law to reduce the Minister’s control of the game. This could ensure that cricket here is run by men of integrity devoid of political manoeuvring. If such meaningful measures are not taken, nothing short of a miracle will work.